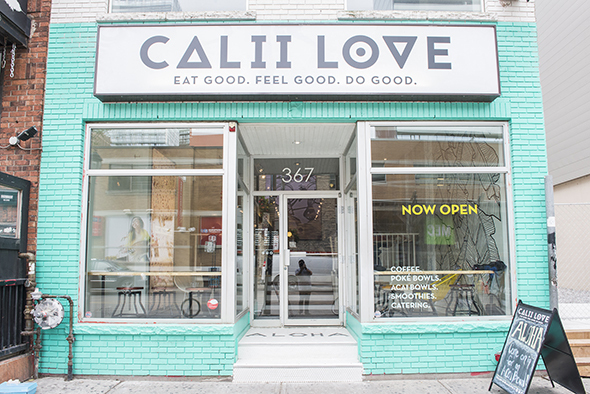 Calii Love serves up Californian-style poke and health-based dishes on King West. 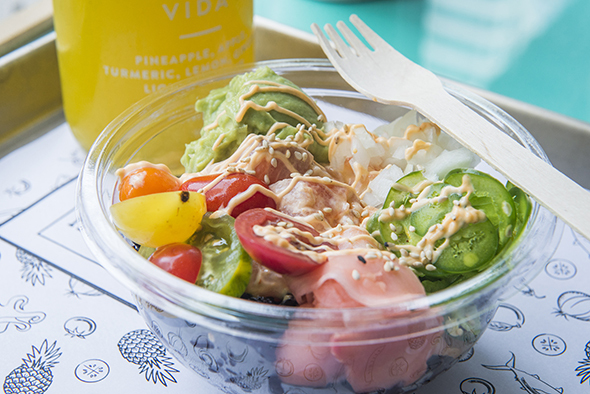 With an emphasis on organic and healthy ingredients that are vegan and gluten-free, there's lots to feel good about eating here. 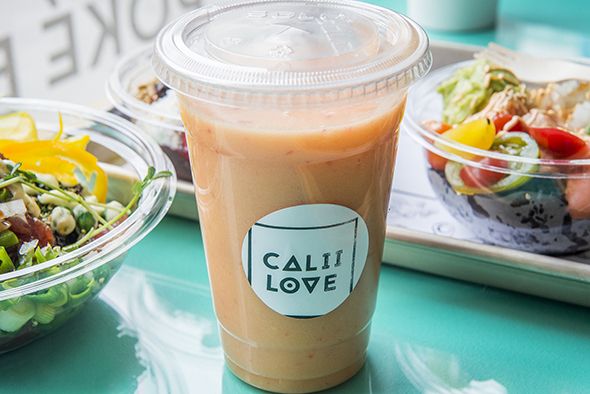 That's appropriate, because although there are distinct options Calii Love offers, the menu is organized by feelings. 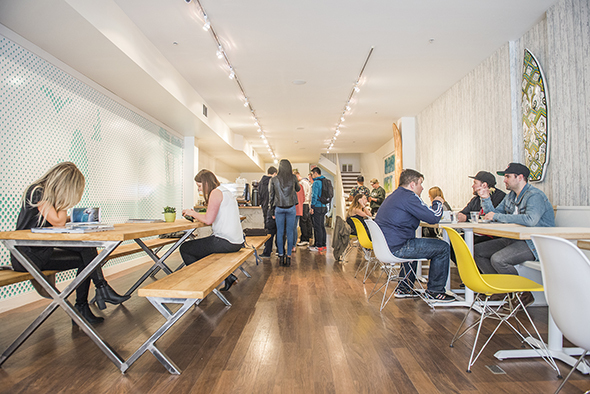 The inside is super spacious - most seating is in the form of long tables. I think I can say with confidence that you'll always be able to find a seat here alone or with friends - we plopped down in some bucket chairs for a second, and they were super comfy. Opening early at 7 a.m., they offer coffee from Barocco and tea from Serenitea, as well as their smoothies and acai bowls. We grab a cup of "Joyful" ($6.95) with its pastel orange colour, the result of blending mango, strawberries and pineapple, certainly feels happy. It's made from frozen fresh fruit, without any ice added. 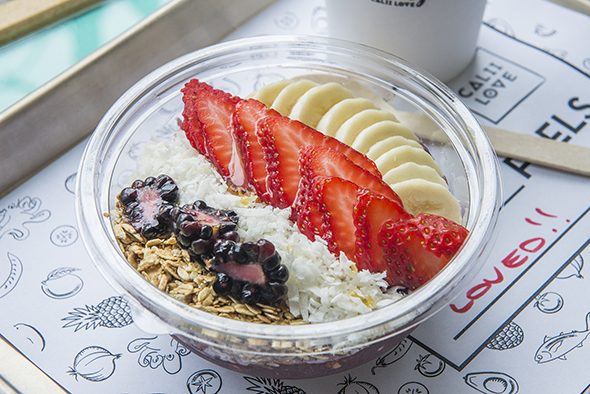 The "Loved" acai bowl ($9.95) is a best seller, perhaps because of the emotional support it promises but it's also a combination of beloved ingredients: a base of blended acai, mango, berries and banana with granola, coconut, banana, strawberry, blueberry, and honey. 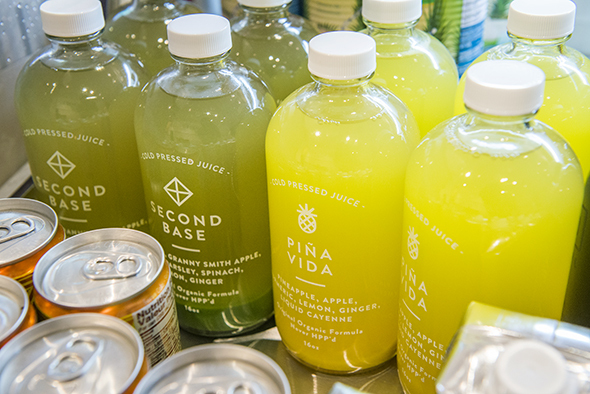 Cold-pressed juices are from ELXR Juice Lab ($8 - $11 for 8 ounces and 16 ounces respectively) with cute names like After Party, complementing the health-conscious hippie vibe. 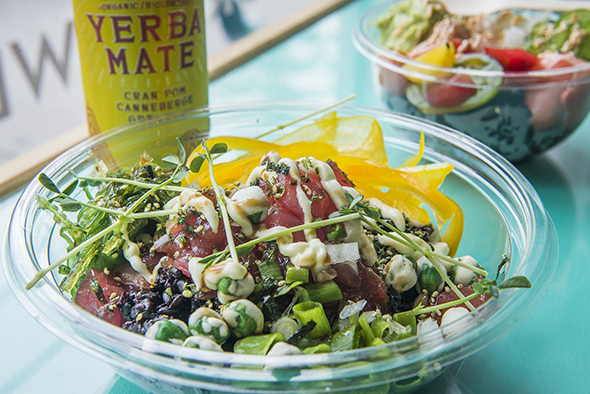 We try a regular-sized "Confident" poke bowl: for $14.95, it's trout, pickled ginger, wakame, green onions, avocado aioli, and wasabi peas on black rice. The black rice is really healthy, more than brown even, and often sells out as a favourite of one of their bases. We also sample a small-sized "Hopeful" bowl ($10.95), one of the most popular. This portion size could easily be wolfed down on a lunch break, and can keep you going with salmon, avocado, sweet onions, jalapenos, sriracha aioli, pickled ginger and cherry tomatoes, also on black rice. 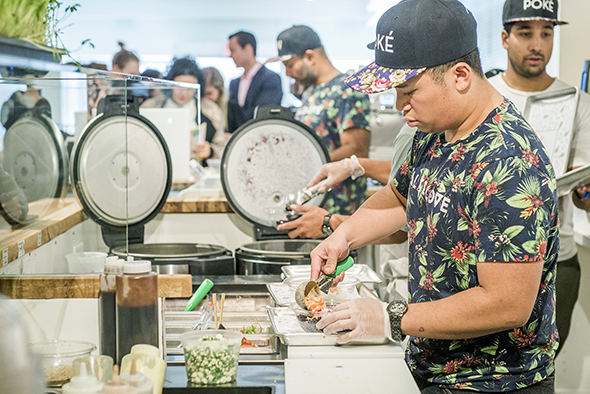 Everything is customizable and you can create your own bowls in whatever combination you please, and also have the option of adding extra toppings, including extra healthy ones like protein powder and chia seeds.